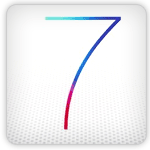 The iOS 7 was unleashed at June 2013 WWDC event, and there are two of its developer releases iOS 7 beta 1 and iOS 7 beta 2 yet and the final iOS 7 is coming this fall, with all of this Apple uploaded iOS 7 and Business page to highlight all iOS 7 features for Business users. iOS 7 provides enhanced security, powerful new ways to configure and deploy devices at scale, and features to help businesses purchase, distribute, and manage apps with ease. Features including per app VPN, enterprise single sign on, App Store license management, and new mobile device management (MDM) configuration options are just some of the new capabilities in iOS 7 that provide more for organizations of all sizes. Apps can now be configured to automatically connect to VPN when they are launched. Per app VPN gives IT granular control over corporate network access. It ensures that data transmitted by managed apps travels through VPN — and that other data, like an employee’s personal web browsing activity, does not. Authenticating into corporate apps is now as simple doing it once. Enterprise single sign on (SSO) means user credentials can be used across apps, including apps from the App Store. Each new app configured with SSO verifies user permissions for enterprise resources, and logs users in without requiring them to reenter passwords. You can get to the details of iOS 7 new features for Business at source.